We have no details of the game, other than the goalscorers. All three Blackpool goals were scored by Gregory with Khius Metz scoring for Burnley. Gregory got two in quick succession around ten minutes from half time and completed his hat trick five minutes from the end some ten minutes after Metz had pulled one back for us with his first goal of the season. 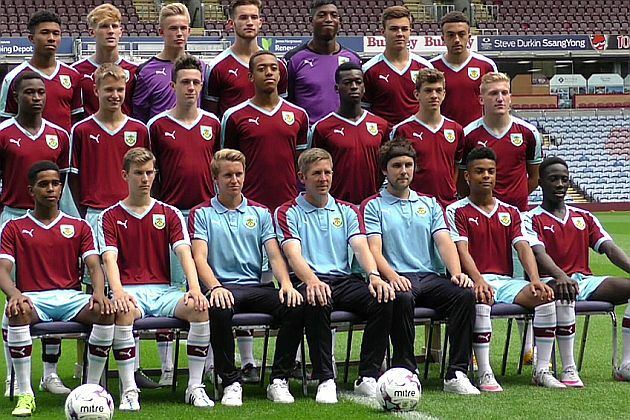 The Burnley team was: Tony Aghayere, Olatunde Bayode, Shaun Hobson, Lewis Norvock, Andy Nugent, Tyler Shrimpton, Andreas Bianga, Mark Howarth, Jamal Crawford, Tommy Wood, Khius Metz. Subs: Connor King, Billy Grogan, Miles Fenton. The youth team are next in action against Accrington this coming Tuesday in the Lancashire FA Youth Cup. The game will be played at Burnley Belvedere and kicks off at 2 p.m.